Up the ante with the Miller Harris Etui Noir Eau de Parfum Spray, an enigmatic fragrance for men and women with leather facets. A fragrance laced with mystery, Etui Noir will pique your interest, drawing you deep into the clutches of its entrancing aroma. Edgy with a palpable seduction, this provocative Eau de Parfum will make the hairs on your arms stand up, its magnetic blend destined for intimate moments. Like a whisper, Etui Noir encourages you to lean in closer. This addictive Eau de Parfum opens with aromatic top notes of bergamot, elemi gum and a burst of tangerine. Its fresh beginning is undercut with nuances of iris, cashmere wood, styrax and lingering incense, which create a tangible atmosphere in the heart, before a seductive base welcomes more exotic notes of patchouli and vetiver, fused with warm nods of leather, amber, birch and labdanum absolute. 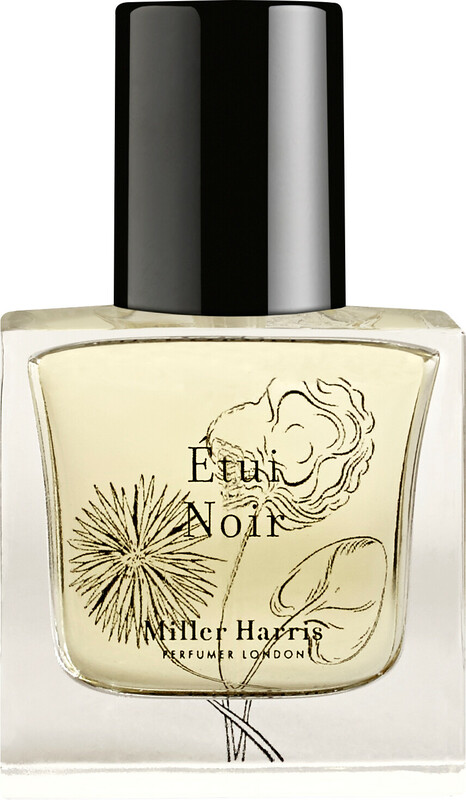 Miller Harris Etui Noir Eau de Parfum Spray is rated 5.0 out of 5 by 2. Rated 5 out of 5 by Waggysue from Beautiful perfume I usually wear light floral perfumes, this is floral and light enough to wear in the day and perfect for the evening. Rated 5 out of 5 by joye71 from Unusual but Beautiful I normally go for quite light green fresh fragrances, but I received a sample of this perfume & was inundated with you smell gorgeous comments. I love the woody earthy fragrance & it lasts the whole day , so sometimes it good to try something new!